Winner of the 2018 Andrés Montoya Poetry Prize, The Inheritance of Haunting is a collection of poems contending with historical memory and its losses and gains carried within the body, wrought through colonization and its generations of violence, war, and survival. In these poems, haunting is a kind of memory weaving that can bestow a freedom from the attenuations of the so-called American dream, which, according to Rhodes, is a nightmare of assimilation, conquest, and genocide. How love unfolds is also a Big Bang emergence into life—a way to, again and again, cut the future open, open up the opening, undertake it, begin. Heidi Andrea Rhodes is a queer, Latinx poet, artist, scholar, & activist. 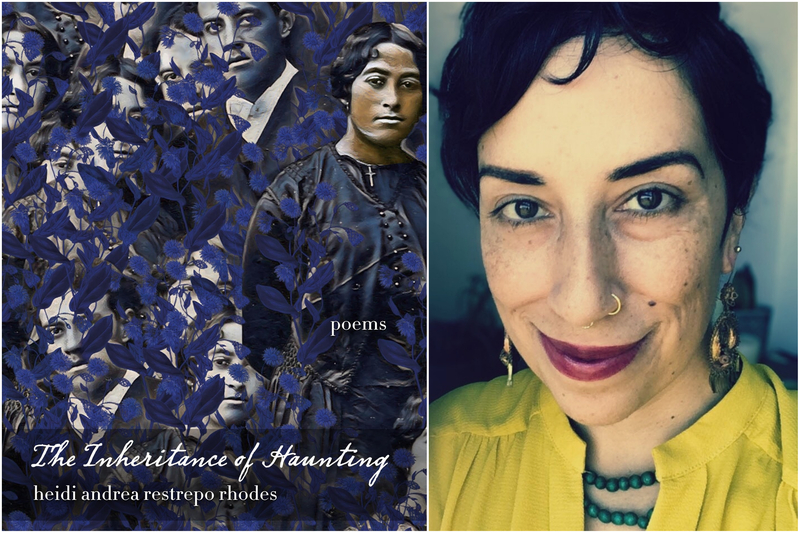 Her first full-length collection The Inheritance of Haunting (2019) was chosen by Ada Limón for the 2018 Andrés Montoya Poetry Prize for a first book by a Latinx poet, awarded by Letras Latinas, the literary initiative based out of the Institute for Latino Studies at the University of Notre Dame. Her poetry has been published in As/Us, Pank, Raspa, Word Riot, Feminist Studies, Huizache, & Nat.Brut among other places. A 2018 VONA alum, she is currently a doctoral candidate in political theory at the Graduate Center, CUNY. She grew up in California and lives in Brooklyn.